HOUSTON – The Vortex Companies (“Vortex”), a leading trenchless rehabilitation industry solutions provider, has completed the acquisition of The Ted Berry Company (Ted Berry), a Maine based, New England area trenchless rehabilitation solutions provider, announced Mike Vellano, CEO of Vortex. Ted Berry’s approach to business, dedication to quality and its history of success played a key role in the acquisition. “Matt and the Ted Berry team are well respected throughout the country. Over the last forty-five years, not only did they build a reputation for excellent service, but a loyal customer base as well,” added Mr. Vellano. “It is our goal to expand on their accomplishments by delivering even more trenchless services and solutions in the Northeast. The Vortex Companies deliver advanced trenchless technologies and turnkey services to cost effectively renew municipal, industrial and commercial infrastructure. The Vortex Services division provides lining and coating solutions, pipe bursting, CCTV and inspection. The Vortex Products division develops and sells manhole and pipe rehabilitation materials, polymeric coatings and resins, sewer robot systems, and high-speed drain cleaning tools. 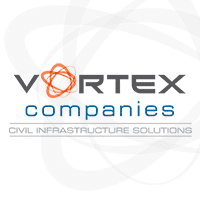 With strategic acquisitions planned for 2019, the Vortex Companies remains focused on its vision of providing a broad range of intelligent and economical trenchless infrastructure renewal solutions, supported by highly experienced and trained personnel. For more information, go to: vortexcompanies.com. Located in Livermore, Maine, The Ted Berry Company has been family owned and operated since 1972. The Ted Berry Company provides services to both municipal and industrial customers throughout New England. The company’s core service groups include municipal utility services, industrial cleaning services, trenchless pipe rehabilitation, and CCTV pipeline inspection. For more information, go to: tedberrycompany.com.